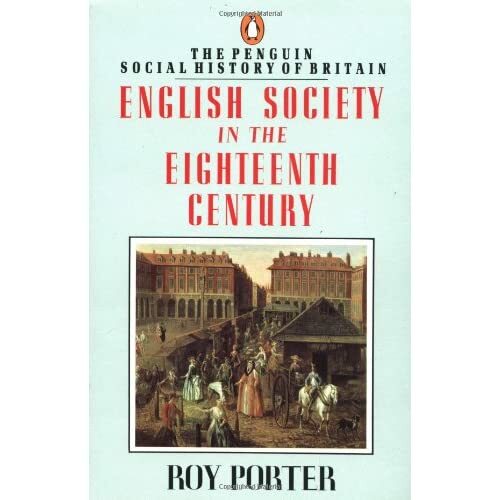 Introducing: “English Society in the 18th Century”, by Roy Porter. Books I am reading, reviewed chapter by chapter. This is a portrait of 18th century England, from its princes to its paupers, from its metropolis to its smallest hamlet. The topics covered include – diet, housing, prisons, rural festivals, bordellos, plays, paintings, and work and wages. First impression: A nice, short, and thus readable introduction, if likely not very in-depth. Clearly aiming at students. With tables, and a good index. My motivation to read this book: Whenever I have investigated an author so far, I have done so in three steps: 1. The historical context. 2. The author’s biography. 3. The body of work. – Since this is, honest to God, my first serious approach at Coleridge, I am going to do it the way I have always done. I realize that it is slow, and that text-based approaches are the way to go now-at-days, but this is, at this point, essentially my hobby. I need to know how exactly people lived before I can emphasize with what they wrote. Besides, the historical context is important for the project that is connected to this blog. You know, where I really want to go with this, in a year or two.